With over 35 years of experience, we can undertake a wide range of plumbing and heating services. 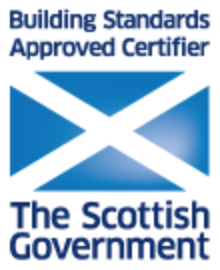 And as a SNIPEF licensed business, the work we undertake is covered by the plumbing industry licensing board warranty scheme and customer service charter. Find out more about the services we offer or get in touch to discuss your requirements. We now offer Finance as part of the Gas App Boiler Finance scheme, with finance options available on any boiler. Get in touch for a free estimate or quotation or to discuss any aspect of plumbing or heating. I have had RA Walter to do several jobs for me both recently and in the past. From fitting a new bathroom to replacing a tank both Ronnie and Ryan are excellent tradesmen who are courteous and carry out their work with care. Established in 1982, our company continues to grow in reputation, skills and range of services we are able to provide to our customers. This we attribute to our experienced and fully trained engineers, fair pricing structure, enthusiasm and meticulous care and assessment of our customers’ needs. We have proven reliable, reputable and are able to provide professional excellence by constantly keeping up with new trends in the energy environment through training courses and research. Through this broadbase of knowledge we are able to recommend the most efficient and cost-effective systems to our customers.